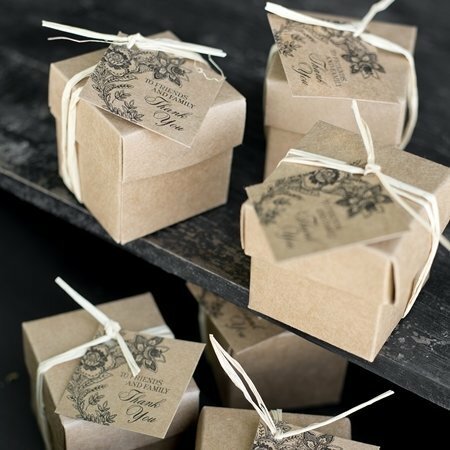 Square brown kraft favour cards with vintage floral design and the words "To Friends and Family Thank You" printed in black. Perfect to hold your sweet lollies or chocolates. Pre-punched hole for tying ribbon or twine (not included).